My friends and I arrived by public transportation to Beit She’an around 4:30pm, giving us time to settle in and explore before Shabbat dinner. 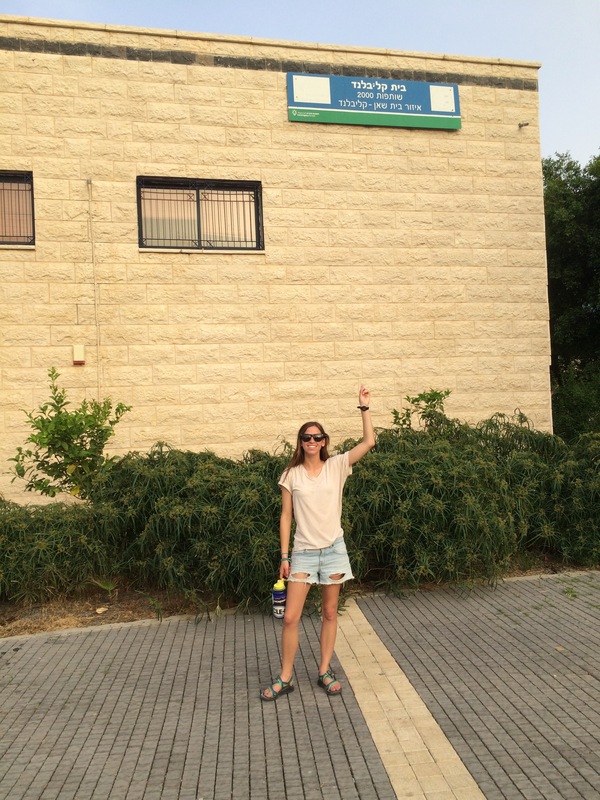 We stayed at the Masa Israel Teaching Fellows’ house and were hosted by the awesome Beit She’an teaching fellows. 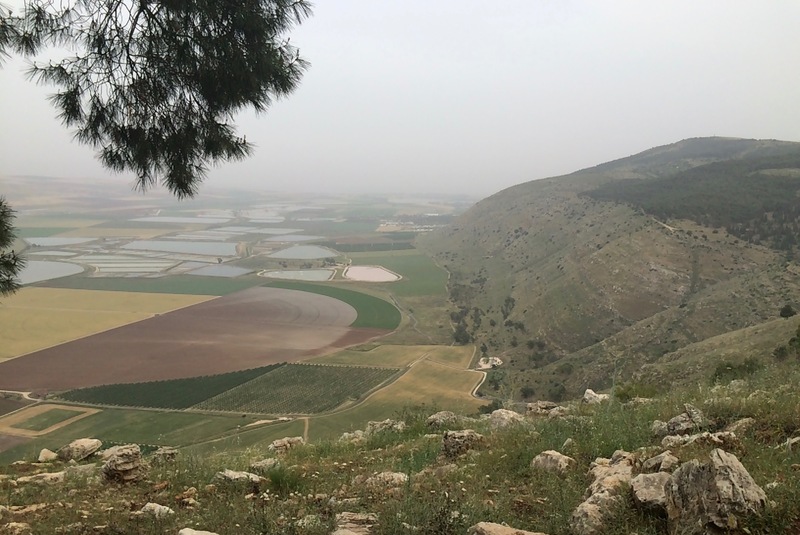 The fellows walked us around the city; they showed us ancient ruins from Roman times, a clear view of the border with Jordan, and they even took us to the office of the Jewish Federation partnership. As we walked all around the city, the fellows ran into several of their students who were playing outside before Shabbat. One fellow in particular, Joseph, ran into many students, who each yelled “Joe!” excitedly before high-fiving him. It was like walking around with a local celebrity. For Shabbat dinner we were hosted by an awesome family that is involved in the Cleveland-Beit She’an partnership. Although I had never met them before, this family welcomed my friends and I into their home and gave us an incredible meal. After dinner, dessert, and a game of bingo, my friend Rotem picked us up and took us to a bar in the Jordan valley. 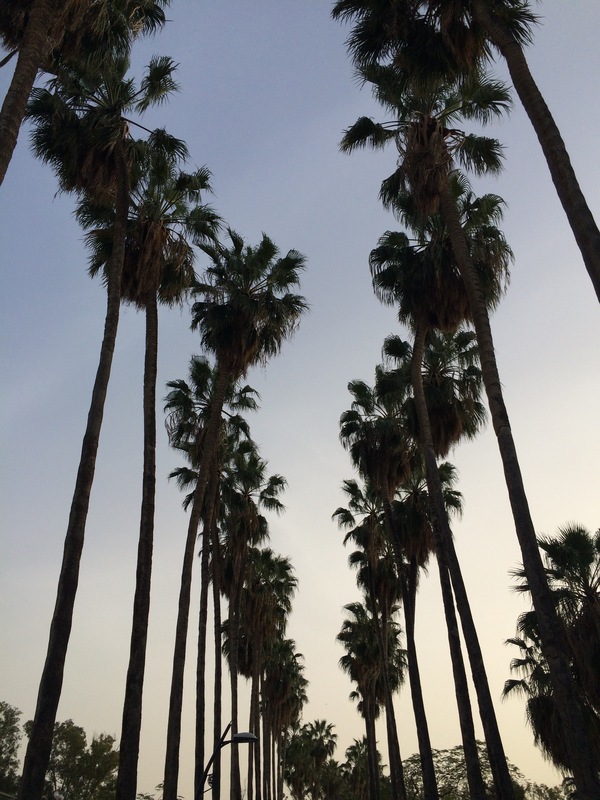 We hung out with Rotem and her friends and got to meet people from the surrounding kibbutzim. 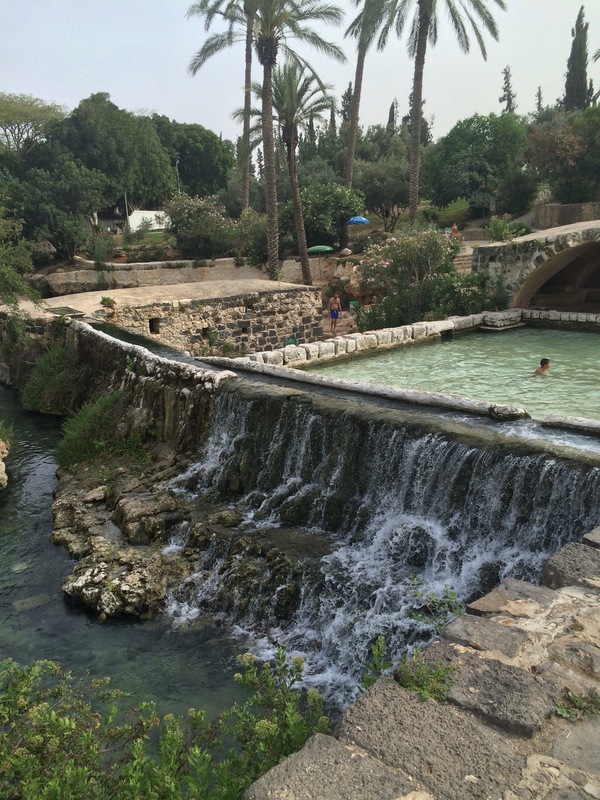 The next afternoon Rotem showed us many of the springs in the area. 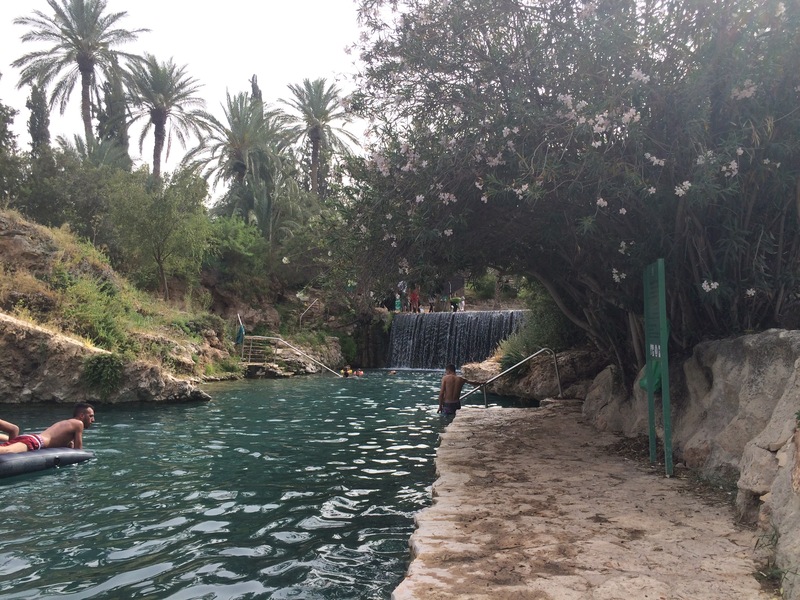 We stopped and swam in one area that she called the “Nachman Spring.” Then we went for lunch at a café on the edge of Beit HaShita Kibbutz, where Rotem saw several people that she knew and everyone was very friendly. After lunch we went to the idyllic Sachne: a natural spring with beautiful blue water that stays at a pleasant temperature all year round. Sachne is divided into three main pools, all of which permit swimming. We spent a few hours simply enjoying the sun, the water, and the views of the mountains in the background. 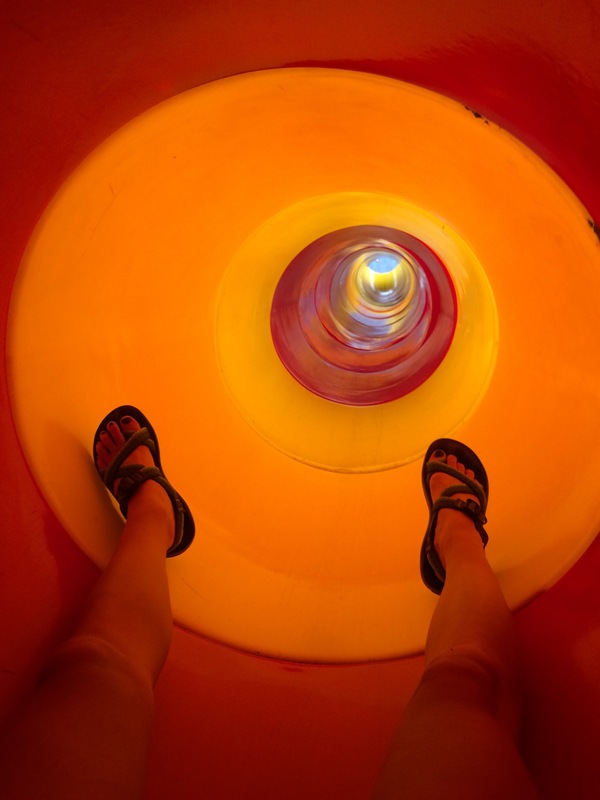 We stayed at Sachne until the park closed at 5pm. 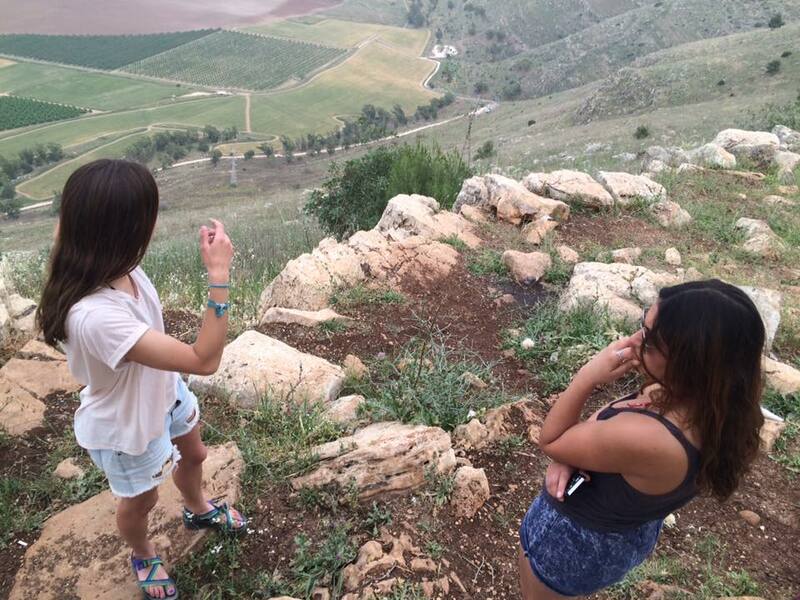 From there we decided to venture up into Mount Gilboa. If we had more time we could have hiked, but we took the easy route and drove up. When we got to the top we spent some time at a lookout point. The weather had become hazy but we were still able to appreciate the view. From Mount Gilboa we drove to a spot along the highway where every Saturday a Druze woman makes pita on her taboon oven and sells it right on the spot. My friends and I each bought a pita with labaneh and za’atar and ate there on the side of the road with several families who had also come to eat. After dinner we said goodbye to Rotem and returned to the MIITF house. As Shabbat was ending we hung out with the teaching fellows on the rooftop of their house. We told them about our day and they told us about theirs: they had spent the afternoon at a barbeque with a local family they had gotten to know. We talked about their time in Beit She’an and what it was like living in a small community in the north. They told us that everyone is very friendly and welcoming and that they have become integrated into the community. We talked about the new train line to Beit She’an that is almost complete and how it will make travel to nearby cities like Afula and Haifa much easier. As the sun set and Shabbat came to a close, my friends and I said our goodbyes and boarded the bus to head back home. 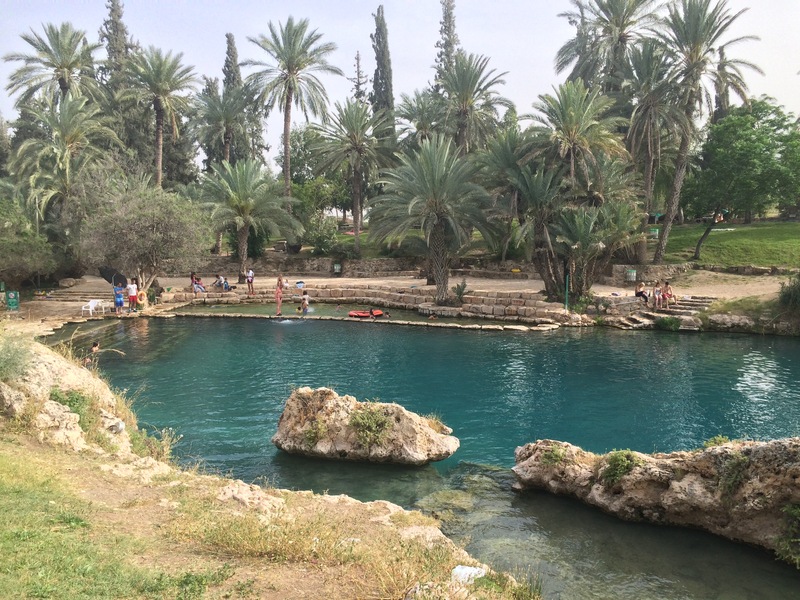 We had an awesome weekend in Beit She’an full of adventure and hospitality. My friends and I had a great time and I was so glad I could show this special region to people who otherwise may not have ventured over. Last weekend was my fourth time visiting Beit She’an and I’m already looking forward to trip number five!